The Photo Patch App: In today’s world technology has really changed too many impossibilities into possibilities and made us realize that something that seems to be impossible is actually a very simple thing. Innovative ideas and smart work have led us to the things that we have never thought will exist some day. Here we are talking about an application which aims in connecting or rebuilding the path between children and their parents. The main aim of The Photo Patch App developers is to help the children who can’t talk or communicate with their parents who are landed up in prison. The official website of Photo Patch mentions that there are 1 out of 28 children in the United States who has their parents imprisoned or confined. 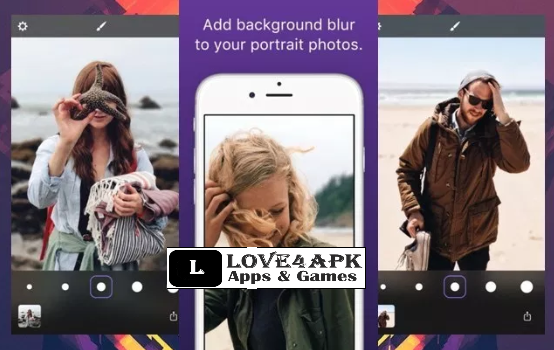 The Photo Patch App removes the barrier between them and creates a fresh link between them enabling them to communicate over uploading pictures and letters. Photo Patch prints, packages and then sends the belongings to their behalf. On The Photo Patch App the children can upload texts or images which are then printed by the company and are sent to their parents who are in prisons. It is also a very popular app with over more than thousand installs and 4.6 out of 5 rating in Google Play Store. The company aims to deliver quality products and don’t make anyone unhappy. The official company is Photo Patch Foundation. The The Photo Patch App requires minimum Android v4.0 or above for it’s functioning. This application offers opportunities for others to work as volunteers and collaborate with the foundation and help it to grow more in other countries. Simply you can download the app from the Google Play store or Apple App store and start the work you wish to do. The app will not take much time to be downloaded into your phone if you have stable and decent internet connection as it is of only about 3 MB of size. In Apple App Store it’s also available for free of cost and is around 13.4 MB for download. Its compatible with iPhone featuring iOS 9.0 or above and can also be used on iPad and iPod touch.For a child who wants to communicate with his dad or mom who are spending their sad span of their life time under the prison for some illegal activities, this app can help them very much. It’s just like a miracle to them! The user friendly User Interface (UI) and simple functioning make this app more familiar to kids. to know more about the foundation and this movement, Get Involved: used for becoming a partner in this act and there are more options like Social Wall, Gallery, and Event. You can get involved in this act by becoming a volunteer working as Social Media Manager, Development Director, Grant writer, and blogger.